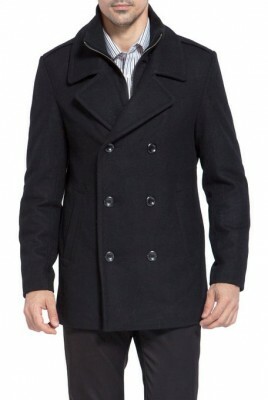 The pea coat is a very chic coat, suited for many seasons (all except summer). 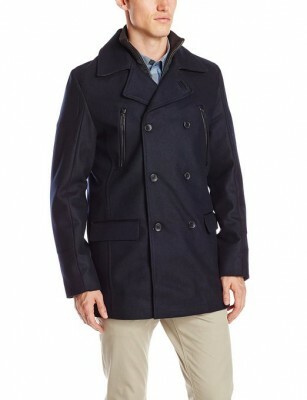 For the ones that don’t know it already, this type of coat was initially worn by sailors 300 years ago. Imposed by the Dutch navy to their sailors, the pea coat improved and got stylish over the years until it became the chic and much appreciated coat of today. The most important and most obvious thing that distinguishes it from other types of clothes is its two rows of buttons. Usually (but it depends on the model), it also has two big side pockets. If we were to talk about its colors, naturally, the most common color is of course blue navy. Still, nowadays you can find models in many other colors. Another thing that draws the attraction in a good way is its wide lapels that give a touch of prestige to the wearer. 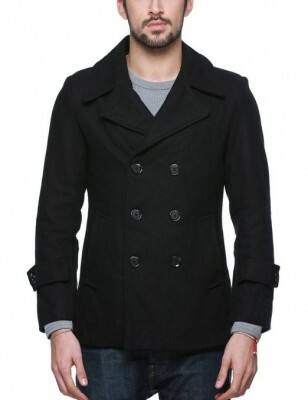 As for its size, you must know that a common, classic pea coat is usually short.